One question has polarised the black hole X-ray binary community for many years: is the inner accretion disc truncated in the low-hard state? The inner radius of the accretion disc, fitted by the Fe line (y-axis; Method 1) and disc (x-axis; Method 2) components. 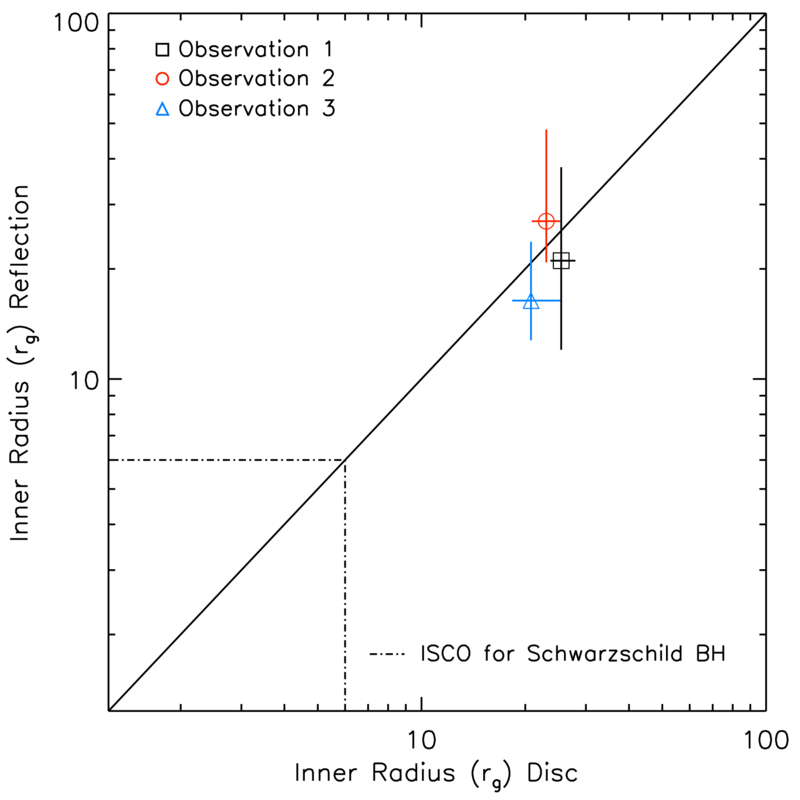 The dot-dash line indicates the innermost stable circular orbit for a zero spin black hole, showing that both methods, from all three observations, are consistent with a truncated accretion disc.